Published Feb. 7, 2019 at 6:33 p.m. I've enjoyed checking out Downtown Milwaukee from a variety of perspectives including from the top of a building, by boat in Lake Michigan and today, from a maze of connected skyways dozens of feet off the ground. 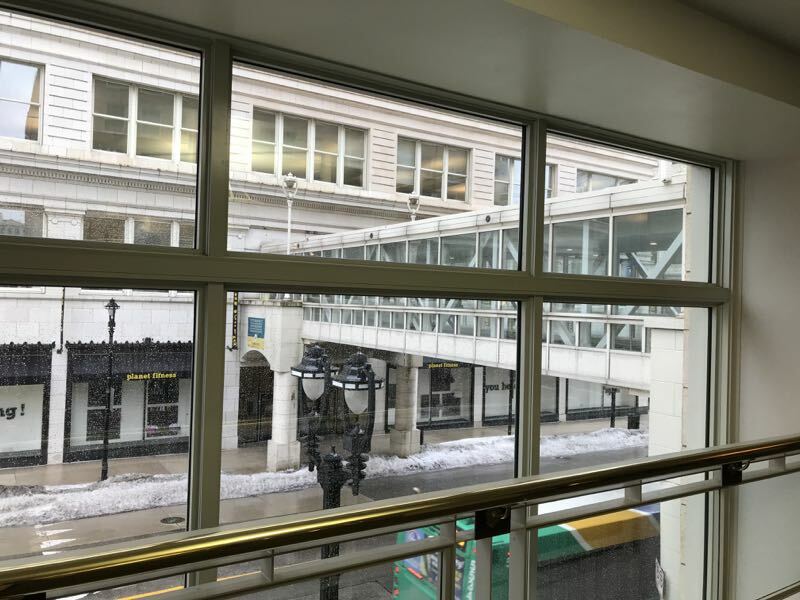 The tour takes between 90 minutes and two hours, includes about one mile of walking – predominantly via glass skywalks connecting prominent Milwaukee buildings. A volunteer tour guide – today we had Steve Kessel – highlights Milwaukee history and shares relevant stories during the sky-high stroll. "No tour is exactly the same," says Julia Griffith, Program Director of Historic Milwaukee. The cost is $10 for adults; $5 for kids 6-11 and free for kids 5 and under and for Historic Milwaukee members. "This tour allows you to see architectural aspects of buildings you would never see from the ground," says Griffith. "It's an impactful experience."